In the fall of 2008, 40 friends gathered in a small Pittsboro backyard to share a simple potluck and sample a fresh creation: the new North Carolina-bred pepper. This first Pepper Festival marked the start of a cultural and agricultural movement. Since then, the Pepper Festival — hosted by client Briar Chapel — has blossomed into one of the largest chef competitions in the region, a spicy celebration of local food, music and culture that attracts more than 2,500 festivalgoers statewide. The 10th Annual Pepper Festival represents a decade of partnerships and efforts that have championed sustainable agriculture. 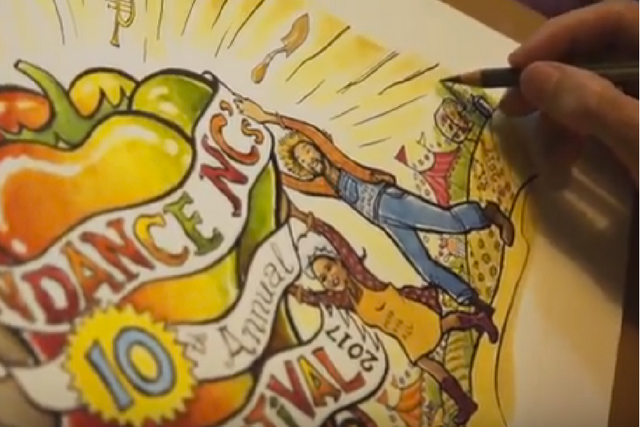 The proceeds of the festival benefit Abundance NC, a nonprofit dedicated to renewable food and fuels, and since inception, the festival has raised more than $150,000 to support approximately 200 farmers who would not otherwise be in business. The 10th Annual Pepper Fest embodies a legacy — the toil, passion and creative spice of a band of visionaries. Check out the key “ingredients” that are heating up this year’s event! Looking to spice up your fall? Grab your tickets to the 10th Annual Pepper Fest! ← Grand Opening: Sparks & Margaritas!